Here are our choices for the Top 10 Restaurants in Nashville, from best-kept culinary secrets and flying pigs, to Texas-style barbecue and the best burger joint in town. Ask your hotel concierge or a cab driver about this restaurant and the response will probably be a puzzled look or shrugged shoulders. Often hailed as the city's top rated meat-and-three, it might be considered one of Nashville's best-kept culinary secrets. Don't let the small, cinderblock structure scare you off. Inside is down-home Southern cooking at its finest. Roast beef, fried chicken, creamed spinach, mashed potatoes, turnip greens and mouth-watering banana pudding are served up cafeteria style. Due to its close proximity to Music Row, keep on the lookout for artists and record company execs. When discussing the best burger in Nashville, it doesn't take long for the name of this wonderful greasy spoon to surface. When Brown's first opened inside a boxcar back in 1927, the owners kept it on blocks off the ground to keep from paying property taxes. The cheeseburger and fries is the signature dish, although the Frito pie receives rave reviews as well. The atmosphere is dark and smoky and the food is cheap — making it a favorite haunt for many Music City songwriters and musicians. Located in a tiny cinderblock hut tucked behind a McDonald's, what Hog Heaven lacks in space it makes up for in taste. Typical barbecue fare is on the menu — and is fantastic — but if you are feeling a little adventurous, try the pit-cooked turkey breast or the pulled chicken sandwich smothered in white sauce. There are a couple benches inside the screened porch for limited seating but with Centennial Park right across the street, a picnic on a beautiful day is just a few paces away. Even with all the neon signs flanking Broadway, it's hard to miss the flying pigs on the one belonging to Jack's. Within a stone's throw from the Nashville Convention Center, this downtown joint serves up its Texas-style barbecue on paper plates. The pork shoulder is always a good choice and the beef brisket comes highly recommended. Be sure to have them pile on the macaroni and cheese and green beans as well. Of course, no barbecue meal would be complete without the sauce — and Jack's has plenty of options, from sweet and smoky to vinegary-hot. Although a relatively new player on the Nashville barbecue scene, Judge Beans has quickly proved to be stiff competition for the city's more established joints. Within brisk walking distance from downtown, JB's offers up Texas-style barbecue dishes with bravado, especially the brisket. And the Scorpion Diablos, jalapeños stuffed with cheese, shrimp and wrapped in bacon, are as devilishly delicious as they sound. Interesting Fact: The Muzik Mafia was born when Big & Rich, Gretchen and the gang began performing in the neighboring building that is now Judge Bean's Cantina. Publications from Gourmet Magazine to U.S. News & World Report have praised its name. Martha Stewart called it the best breakfast she's ever had. After the first bite of one of their made-from-scratch biscuits, you'll know why. From its checkered tablecloths to its sweet as syrup waitresses, this 56-year-old motel-turned-restaurant oozes Southern charm. The award-winning country ham and red-eye gravy is a breakfast favorite and the skillet-fried chicken is to die for. It's about a 20-minute drive from downtown but when you're finishing the last bite of chocolate pecan pie, you'll be glad you made the effort. Star sightings: The question should be: What star hasn't eaten at Loveless Cafe? Check out all the autographed 8 x 10's for proof. Be prepared to get to know your neighbor in this true family-style restaurant located in the Germantown district. Inside a historic 19th century home, diners are seated at long wooden tables, but don't bother looking for menus. A different entree (pork chops, chicken, dumplings or country-fried steak) is featured each day and the delicious Southern food is brought out in bottomless bowls and platters to be passed around by patrons. If your party is less than 12, expect to share your table with at least a few strangers, but just think of them as future friends. 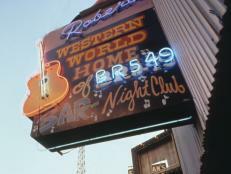 There is good news and bad news in regards to this 40-year-old Nashville icon. The bad news: You'll probably notice the long line wrapped around the building before you see the sign. The good news: They have a pot of coffee brewing outside and the food is worth the wait. No surprise here, the pancakes are incredible but the variety beyond the basic buttermilk is impressive. Their specialty, a little something called Raspberry Delight, will have you planning your next trip back while you are waiting for the check. Is it the best burger joint in town? Is it the best meat and three in town? A lot of locals would answer yes to both questions in regards to this Nashville institution. If you have a cheeseburger, be sure to order it grilled or on French bread. If you choose the meat and three route, the pork barbecue, country fried steak and meat loaf are recommended. Whatever your order, be sure to order one of their thick shakes. It goes with anything. If you're looking for a serious step up from burgers, barbecue and meat and threes, try the Sunset Grill for an upscale change of pace. This premier restaurant is where celebrities and Music Row executives go to do business and see and be seen. Popular dishes include the Crispy Fried Pepper Calamari, the Truffled Angus Burger or the Voodoo pasta. For visitors on a budget, think about paying a visit later in the evening. After 10 p.m. on weekdays and midnight on weekends, a special late-night menu is rolled out with many dinner entrees at one-half or one-third the price. 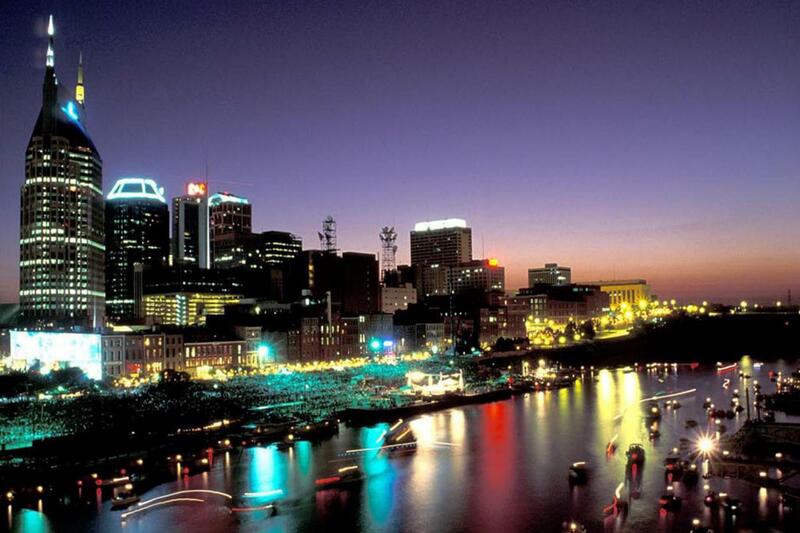 They don't call it Music City for nothing. Nashville is teeming with honky tonks and juke joints... many within walking distance of the CMA Convention Center.